Do you have an old faulty boiler that needs replacing? D.A Gas, Heating & Plumbing are specialists when it comes to installing new, high efficiency boilers. If you're in need of a new boiler for your home, please get in touch with us. We will guide you through the whole process from start to finish and keep any inconvenience to a minimum. All the boilers that we install are energy-efficient and built to last, helping you lower your energy bills and avoid expensive boiler breakdowns. D.A Gas, Heating & Plumbing are proudly accredited with Baxi. This means that we've not only undergone extensive training with Baxi, but it means that we're also able to offer extended warranties of up to 10 years on selected Baxi boilers that we install, covering you for parts and labour for years to come. Choose us to install your new Baxi Boiler! 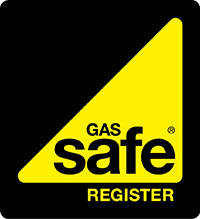 For your complete peace of mind, we are Gas Safe Registered, meaning that we have had all the essential training to carry out work with gas boilers. We always carry our Gas Safe ID card with us on the job and are more than happy to show you upon request. We highly recommend that you always check the credentials of an engineer you employ to make sure that they are Gas Safe Registered. If you're interested in having a new boiler installed, we'd love to hear from you. 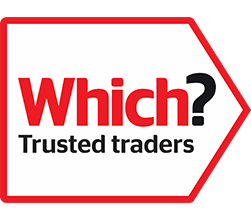 Whether you're enquiring about what would be involved in having a new boiler, or are looking for us to provide you with a free quote without any obligation to go with us. To contact us today, please give us a call on 07920 875189 or 01279 316304 and we'll be more than happy to help. Alternatively, you can always leave us a message through our contact form where we will get back to your enquiry as soon as we are able. Tags: Gas engineer Harlow, New boiler Harlow, Boiler replacement Harlow, Boiler installation Harlow, Gas engineer Bishops Stortford, New boiler Bishops Stortford, Boiler replacement Bishops Stortford, Boiler installation Bishops Stortford, Gas engineer Ware, New boiler Ware, Boiler replacement Ware, Boiler installation Ware, Gas engineer Stanstead, New boiler Stanstead, Boiler replacement Stanstead, Boiler installation Stanstead, Gas engineer Hoddesdon, New boiler Hoddesdon, Boiler replacement Hoddesdon, Boiler installation Hoddesdon.